For any government or empire to run successfully, it needs to defend itself and its subjects from enemies. The Han Dynasty was not an exception to this rule. During the Han era, several enemies threatened China. Due to these threats, the Han Dynasty military had a duty to keep the empire and its people safe. Most of these threats came from the nomadic confederations, such as Xiongnu in the North. 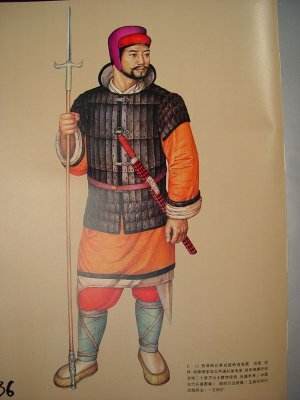 Armies during the early periods of the Han era were recruited through conscription, which is the obligatory recruitment of people for military services. When a young man turned 23 years, he was required to undergo one year of training and one year of service as a non-professional soldier. Later, the minimum age for conscription was lowered to 20. During the Eastern Han period, the system for conscription for the military was altered. As long as a person could pay commutable taxes, conscription could be avoided. This resulted in the army being comprised of many volunteers. Training for the military was done in the infantry, calvary, or the navy. When a trainee became a soldier in active service, he was assigned to one of the three posts during that time, which were a king’s court, the frontier or under the Minister of the Guards in the capital city. Military forces of this dynasty used very powerful weapons. Swords were favored by most soldiers. Developments in iron casting during this era made it possible for them to produce much stronger swords. Traditional crossbow making was also improved and this made it more accurate and powerful. Before long, the army started to adapt to stirrups to gain greater balance while riding horses. The Han Dynasty military was very powerful. Due to this power, the army was able to get rid of many enemies of China and also enabled its influence to spread over large areas across Asia. This also opened gates for increased trading and revenue.